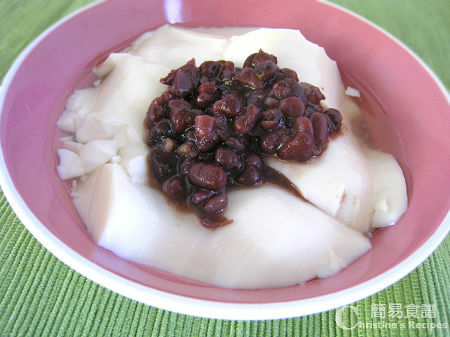 but when making the 杏仁豆腐花, I think they use Gelatin. 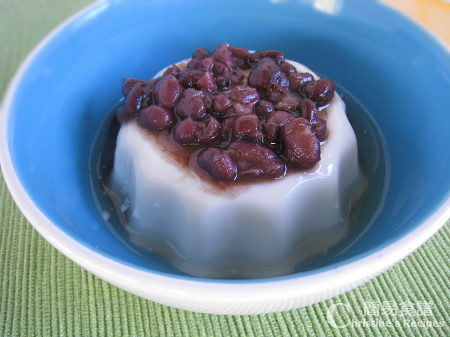 Sure, 杏仁豆腐花 has to use Gelatin. i was just wondering what the difference is when using gelatin instead of gypsum? the video said that gypsum would not make as smooth a texture but when i followed your recipe, it was quite smooth! i am surprised that we can homemade!! You can't reheat the one made from gelatin, because it'll return to be watery. It depends on how people like the texture. 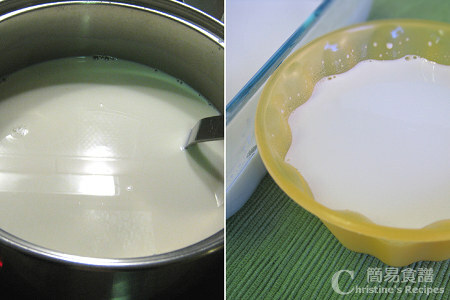 Agar agar powder will produce a bit tough texture, while gelatine might produce a bit chewy.